Can You Afford to Give Your Smart Thermostat a Second Chance? I woke up in a panic at 6:01 a.m. on New Year’s Day. 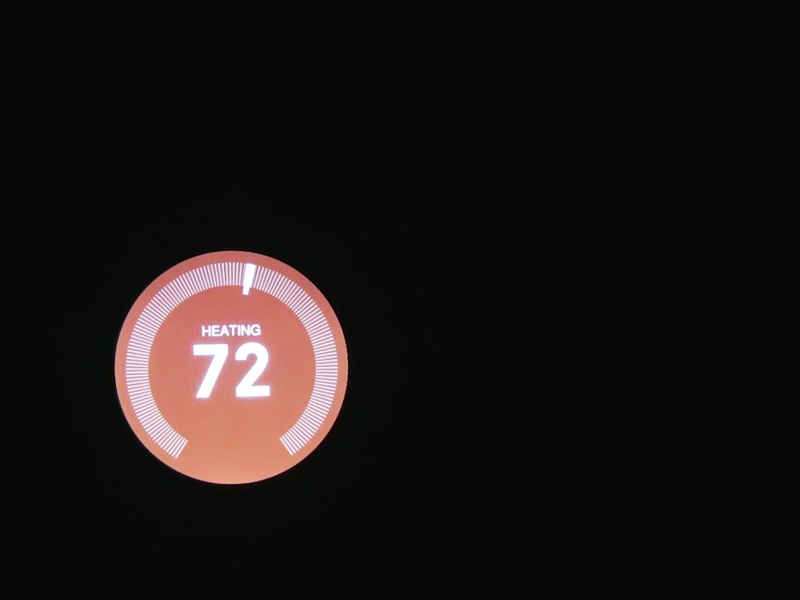 fabulous Nest Learning Thermostat. But my ‘smart’ thermostat failed to recognize my presence with its motion sensor, and it remained dark. I then pushed in its circular face to manually activate it. Instead of happily popping on with a bright reading of the temperature, it simply displayed the cold message that I had to take it off its base and reattach it. Then, fifteen seconds later… I heard the heat rumble on. I turned my gaze back to my ‘intelligent’ circle, which now looked completely normal. It glowed a chilly 62 degrees and its immediate plan to get the temperature back up to 72. I never had the chance to yank my Nest off the wall to reboot it. It just started working again. I ran over to my iMac, which had recently had its own trip into the ‘Tech Netherworld.’ I furiously started Googling, looking for an explanation for this disturbing Nest anomaly. It quickly became apparent that there’s a small army of folks out there with their own Nest issues. I was able to confirm that my Nest’s message suggested some connection problem, though my experience pointed to its self-repair without human intervention. I wondered if there had been some automatic software update that night, which was the culprit. In fact, this all going down in the early hours on the first calendar day of 2015 didn’t feel like a coincidence. I walked back to my Nest and looked at my former champ. I was a little heartbroken. It had been intuitively managing my home’s temperature for almost eighteen months. Now, it was just another piece of glitchy tech for me to worry about. I started thinking about what would happen if this kind of meltdown happened again when the family was away for a few days. My house would become an Ice Station Zebra! The only sure way to prevent this disaster would be to kill off my circular HAL before it happens. “Daisy… Daisy…” my Nest would flicker in its final moments as I disconnected the last wire. I pondered this future, and then I walked into the kitchen to make some coffee and cool down. But even an innocent cup of coffee can become dangerous Tech Kryptonite. And I went about the rest of my day, which did not include replacing my Nest with a $20 dumb thermostat from 1955. And so began my 2015…. And I have still taken no action against it. I’ve decided to give my little Nest a second chance. Not because I have such a blind commitment to my tech, but because it would be a pain to replace. You’re welcome to point to this moment of human error when I blog in a few months that my house froze up, but that is only one of many possible futures. Is It Smart to Trust Smart Tech? I thought about whether I should blog about my Nest blip and initially considered running silent, because I don’t really know what had happened. And I don’t really have any solutions. Yes, there are steps you should take to minimize your home tech problems. But if you want to completely hedge against all tech failure, then you really can’t risk using any technology. And what kind of fun is that?! Help your tech stay healthy.